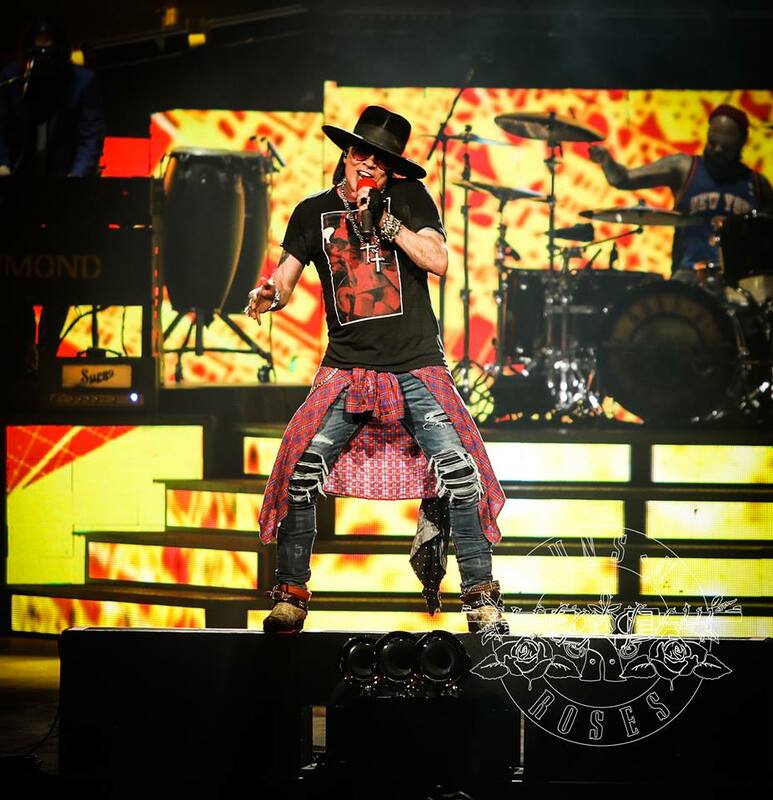 The Guns N’ Roses “Not In This Lifetime” reunion tour has earned the band a pair of nominations for the 2018 Billboard Music Awards. Billboard Music Awards nominees are based on key fan interactions with music, including album and digital song sales, streaming, radio airplay, touring and social engagement. These measurements are tracked year-round by Billboard and its data partners, including Nielsen Music and Next Big Sound and the 2018 honors are based on the reporting period of April 8, 2017 through March 31, 2018. In January, Billboard reported the global trek is among the top five biggest-selling concert tours in music history; Guns N’ Roses topped the $475 million mark in gross sales at the end of 2017 to place fourth on the all-time tour list, moving ahead of the fifth-place Roger Waters, whose 2010-2013 The Wall Live tallied $459 million. U2’s 360° stadium tour (2009-2011) topped the list at $736 million, followed by The Rolling Stones’ A Bigger Bang trek at $558 million (2005-2007), and Coldplay’s 2016-2017 shows at $523 million.